It’s imperative that you protect what you have earned by protecting your College Diploma with a diploma cover, certificate holder, or an award holder. We cover all the bases from beginning to end! The process starts with Preschool, Kindergarten, Elementary, Middle School, High School, and College. 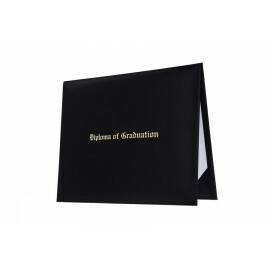 For those of you with Master’s Degree and Doctorate Degree, we suggest you view our Diploma Frames. Gradshop ships all over the world, has the lowest prices, and exceptional customer service. Let one of our graduation specialists help you with your graduation needs. Purchase in bulk and you can receive considerable discounts for large quantities. Placing your order may be made on-line or via fax.